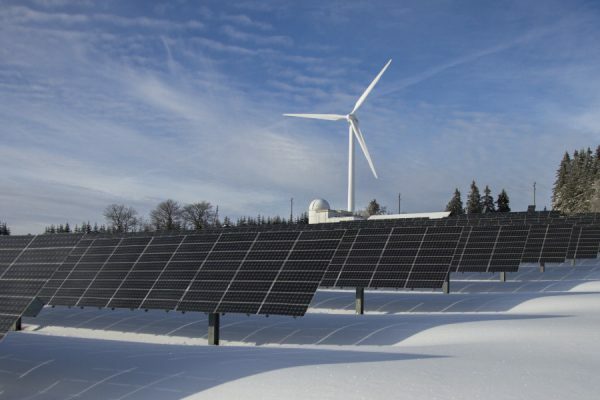 Who knows how economical it might be, but the Japanese electronics and industrial giant Hitachi is moving toward marketing an energy storage system that could be a companion piece to renewable power generation – another sign of the growing interest in such products. 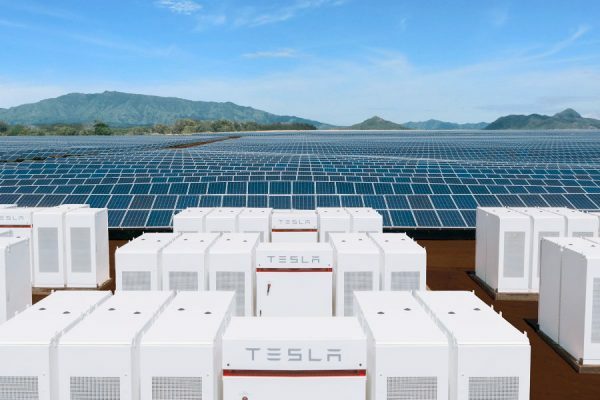 The company said a system called CrystEna (that’s “crystal” and “energy” shortened and squished together; maybe it sounds better in Japanese) will use lithium-ion battery technology in a 1 megawatt container-like package. At that size, this isn’t for home storage – nor is it the sort of storage that SolarCity has begun promoting for large business solar systems to cut peak demand. Instead, this looks like a utility-scale application, the kind of thing that would be used in a fashion similar to the 4-MW system sodium sulfur battery system from NGK Insulators that the Northern California utilty Pacific Gas & Electric is testing in San Jose. 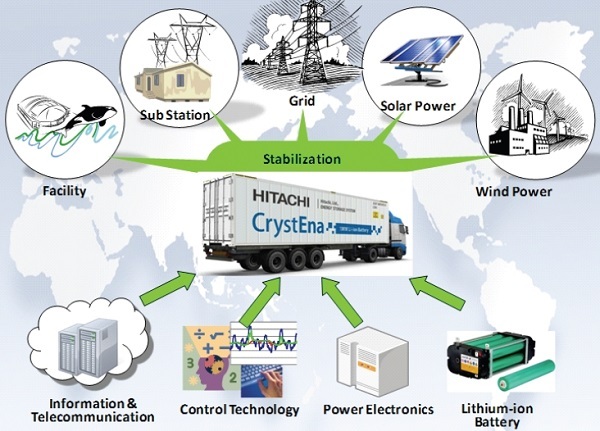 But while Hitachi was announcing CrystaEna, it was a bit ambivalent about exactly when and how it might come to market. 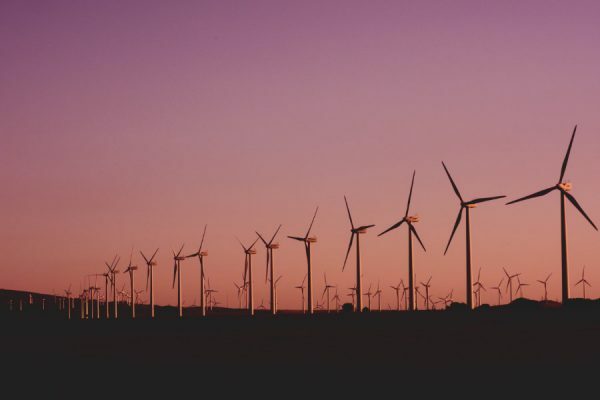 While storing massive amounts of energy isn’t anywhere near economically feasible, utilities are looking for solutions that can help ensure grid stability as variable wind and solar become bigger players, and perhaps take a bite out of peak load. 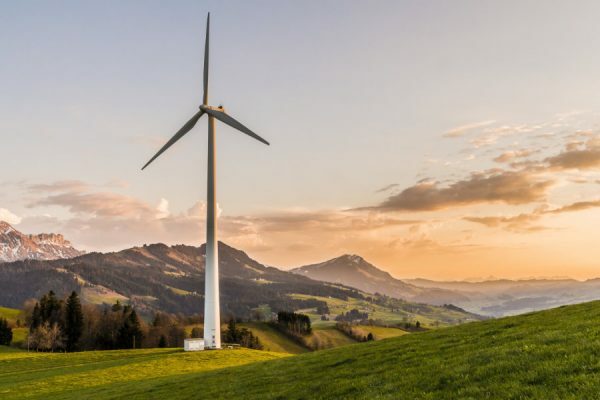 This is especially true in California, where state law requires 33 percent of electricity come from renewable sources by 2020 — and where regulators recently ordered Pacific Gas & Electric, Southern California Edison and San Diego Gas & Electric to “procure energy storage resources” totaling 1,325 megawatts by 2020 and have it installed by the end of 2024.